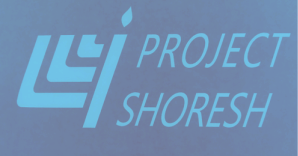 Project Shoresh is a resource that was created to help people connect to the Source. Prayer, and meditation are important parts of that process. Our current headquarters for such programs are at 54 Sargent Avenue, Providence, RI. We have a Women's Psalms group, in which the complete text of the Book of Psalms is divided up between attendants, to be recited in Hebrew or English. No Hebrew skills are required. Prayers are said on behalf of seriously ill individuals of the local community, in Israel and around the globe. Names of sick individuals can be submitted to aaron@projectshoresh.com. The group typically meets on Monday nights at 8:30, twice per month. click the above link to send a note requesting this month's schedule. Appointments can be made during regular business hours and selected weeknights to reserve, free of charge, a room in the Meditation Station for personal meditation called Hisbodedus. There is a long-standing custom among followers of the Mussar Movement of the mid-eighteen hundreds, as well as followers of the Chassidic Movement to engage in isolated meditation/reflection/prayer, in particular in a room designated for such activity. The Mussarniks called the room: a Mussar Kloyz. Our Meditation Station may be the closest thing that our region has to the Mussar Kloyz. Rabbi Aaron is available for personal instruction in such meditation. During the winter, we enjoy having a Kumzits on Saturday nights, after the conclusion of the Sabbath. A Kumzits, is a sing-in. Rabbi Lapin breaks out his guitar and leads in easy-to-earn tunes, from the lively to the wistful. Candle-light helps to create the appropriate atmosphere. Contact us for details.